I have fallen in love with a hunk. My husband would love to hear that but this hunk is a wedge of cheese. 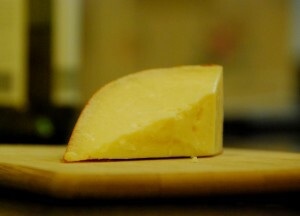 Specifically the aged kind called Gouda from Holland. But before you roll your eyes and yawn over the boring personality of typical American gouda, know this… the Dutch original is almost always better.